EZ Down tailgate assist kit. 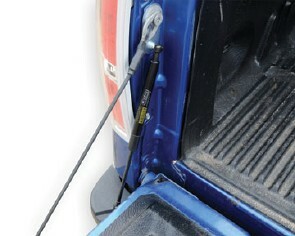 The DeeZee EZ down tailgate assist makes it easy to lower your pickup truck tailgate. Custom designed for each application. Works in conjuction with factory cables and is an easy, no drill installation. The safest way to lower today's heavy tailgates. 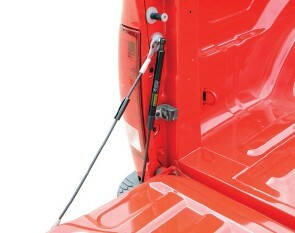 Safely controls the drop of a trucks tailgate. Custom designed specifically by make and model. High quality and extensively tested to handle heavy use for the life of the truck.